Mani Shankar Aiyar is seen to have done it again. Ahead of the 2014 elections, he had derided Mr Modi as a tea seller who could never be Prime Minister. That comment was seen to have contributed significantly to the BJP's sweep of the general election. Mr Aiyar had earlier on Thursday called PM Modi a "neech aadmi"
With Gujarat voting tomorrow, the BJP has made it clear it will not allow the Congress to wriggle out of the spot that its senior leader Mani Shankar Aiyar landed his party in by calling Prime Minister Narendra Modi a "neech aadmi". 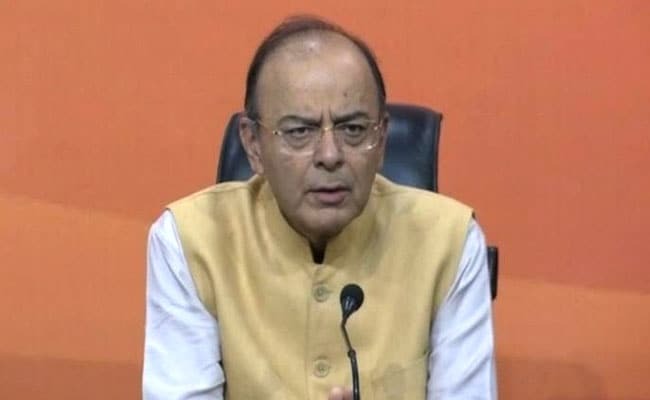 Finance Minister Arun Jaitley said the Congress' action against Mr Aiyar is a "strategic suspension" and has asked people to "see through this game". "Mani Shankar Aiyar's 'Neech' attack on Prime Minister - a deliberate casteist statement, a convenient apology, a strategic suspension. People should see through this game," Mr Jaitley tweeted on Thursday night, soon after the Congress announced that it was suspending Mr Aiyar from primary membership of the party. "The strength of India's democracy," the finance minister said, "will be displayed when a person of humble background politically defeats the dynasty and its representatives." Arun Jaitley said the Congress' action against Mani Shankar Aiyar is a "strategic suspension" . On Thursday, Mani Shankar Aiyar called PM Modi a "neech aadmi" (vile man) accusing him of "dirty politics," after the Prime Minister attacked the Congress and its first family the Gandhis at a function to honour Dalit icon BR Ambedkar. At an election rally in Gujarat's Surat, PM Modi said Mr Aiyar had made a casteist remark and insulted all of Gujarat. "The people of Gujarat will take revenge on December 18 and teach you the precise meaning of neech," the Prime Minister said. "You called us donkey, you called us 'gandi nali ka kida' (worm of a dirty drain), you called us 'maut ka saudagar' (merchant of death), you said I am of 'neech jaati' and 'neech'. But we will live according to our 'sanskars' (values)," PM Modi said at his rally. BJP spokesperson Shahnawaz Hussain sought to underscore this morning that Mr Aiyar's comment has caused "great loss" to the Congress. "He has not apologized despite the fact that Rahul Gandhi has asked him for the same. The people of Gujarat and the country are unhappy and grieved that such a statement has been made by a Congress leader about our Prime Minister. This will not be forgotten by the people of Gujarat," he said. Congress vice president Rahul Gandhi had initially asked Mani Shankar Aiyar to apologise. Mani Shankar Aiyar is seen to have done it again. Ahead of the 2014 elections, he had derided Mr Modi as a tea seller who could never be Prime Minister. 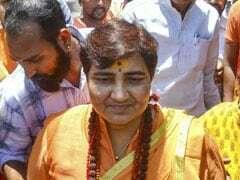 That comment was seen to have contributed significantly to the BJP's sweep of the general election. In his campaign, Mr Modi had offered his credentials as a self-made leader, stressing the fact that he sold tea on trains as a young boy to help support his family and contrasting his modest origins with those of the Congress' Gandhi family. Mr Aiyar's latest comment came two days before the first phase of crucial assembly elections in Gujarat, and the Congress swung into immediate damage control, with Rahul Gandhi asking Mr Aiyar to apologise. "BJP and PM routinely use filthy language to attack the Congress party. The Congress has a different culture and heritage. I do not appreciate the tone and language used by Mr Mani Shankar Aiyer to address the PM. Both the Congress and I expect him to apologise for what he said," he tweeted. 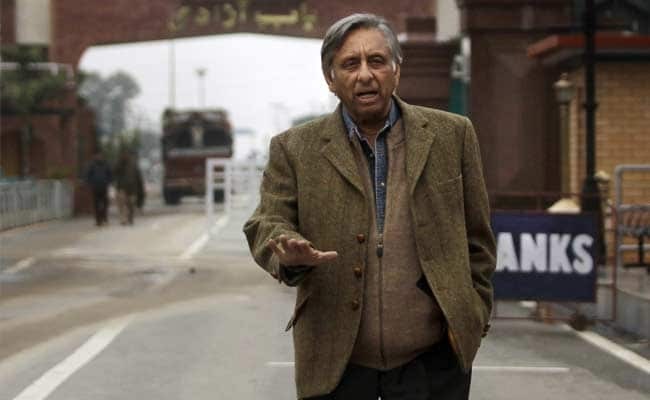 Not long after, party spokesperson Randeep Surjewala said the leader was being suspended Aiyar from primary membership of the party and was being issued a show-cause notice for his remark. 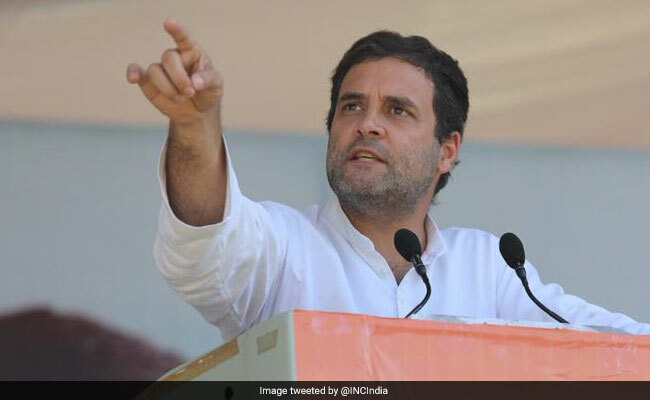 "Rahul Gandhi has criticised the language used by Aiyar...Rahul Gandhi has said no Congress member should lose decency and balance in the use of words..." Mr Surjewala told reporters. Gujarat votes in two phases, on Saturday and then Thursday next. Results will be announced on Monday, December 18.